Information & Culture: A Journal of History is an academic journal publishing scholarly work related to the history of information. While the journal has undergone a name change and grown in scope in recent years, it has a history of over 50 years of academic publishing. 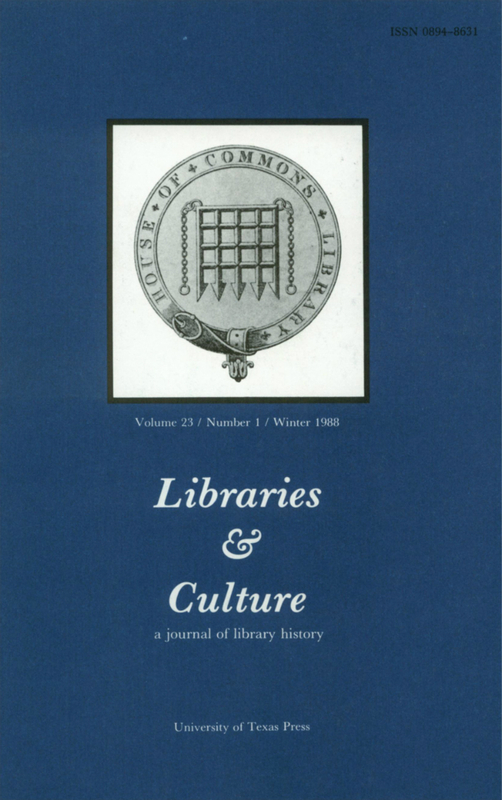 Established in 1966 as The Journal of Library History, the original incarnation of this academic journal was edited and published at Florida State University until 1976. 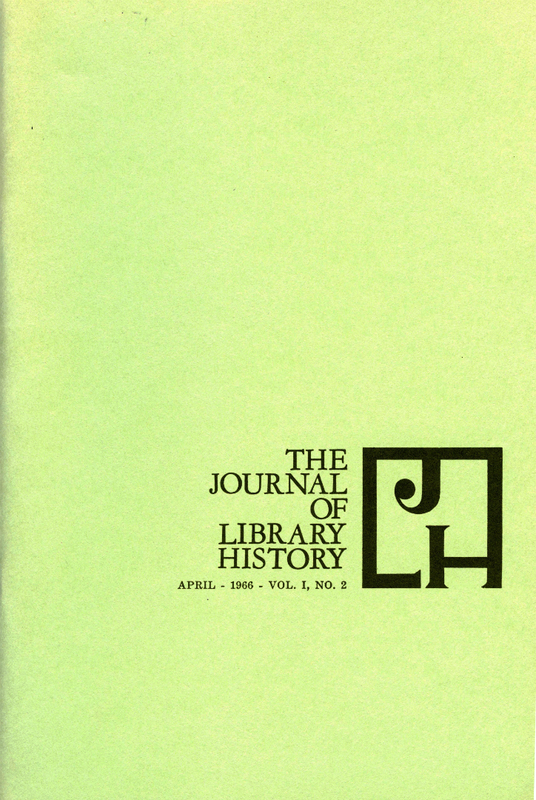 At that time, the journal's editorship moved to The University of Texas at Austin. 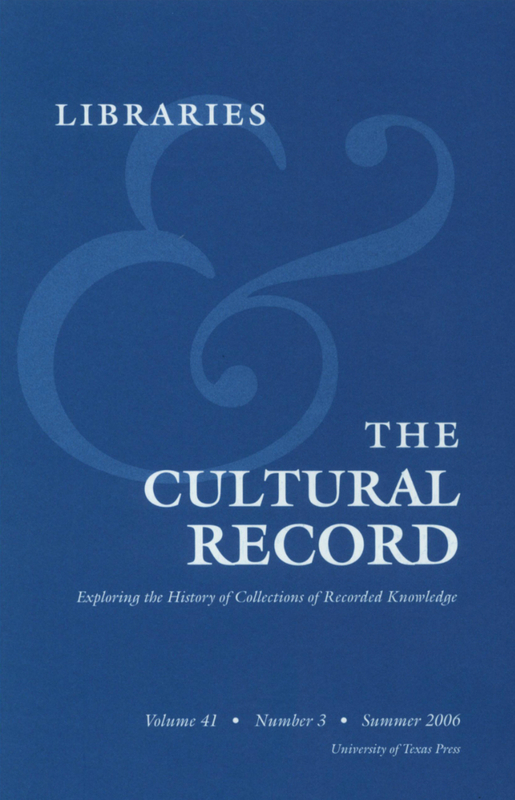 In 1988, the title was changed to Libraries & Culture, and changed again to Libraries & the Cultural Record in 2006. 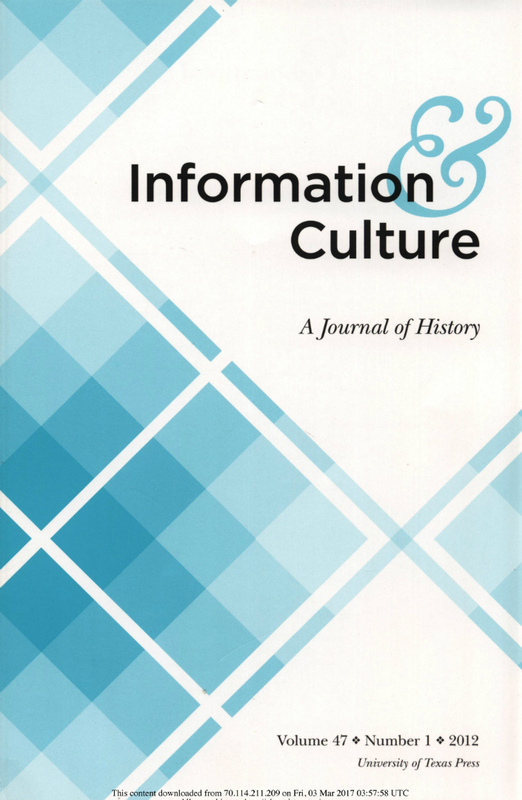 In 2012 the journal assumed its present title, Information & Culture: A Journal of History.